EndNote Online is the online component of EndNote. All Pitt students and faculty have access to EndNote Online when you download the EndNote desktop software. You can sign up for an account at myendnoteweb.com. For verification purposes, you have to do this from a computer on the Pitt network, using your Pitt email address. With EndNote Online you can access your collection of references from any computer with Internet access. You can also search databases from it, and export references from library databases to it, and import saved references. You can sync your desktop Endnote collection and your EndNote Online collection. EndNote Online also has a Cite While You Write (CWYW) plug-in, so you don't have to be tied to one computer when writing a research paper. 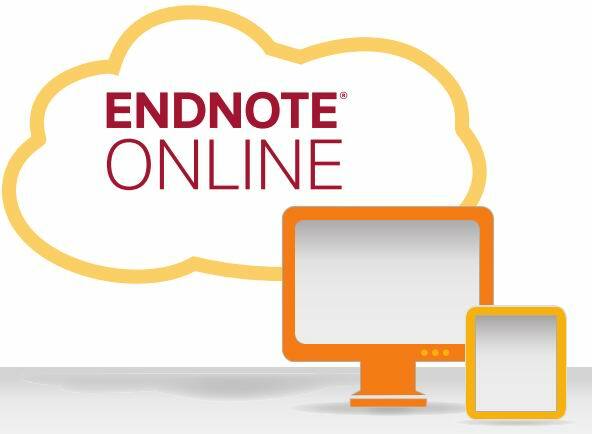 Sign up here for a free EndNote Online account. For verification purposes, you have to do this from a computer on the Pitt network, using your Pitt email address. This video is recording of a class on EndNote Online. It is quite long; however, by selecting the video title below, you can watch on YouTube and access a table of contents that allows you to jump to specific sections of the video based on your interest. Once you're on the YouTube page, select the More button and then Transcript. If you prefer text rather than video, EndNote Online also has an online guide.